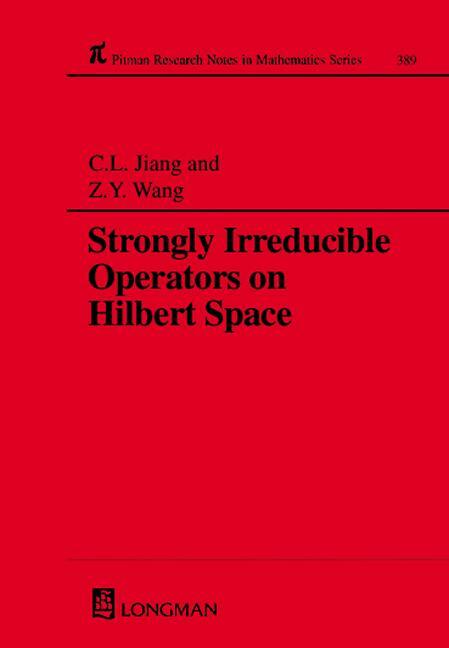 This volume provides a comprehensive treatment of strongly irreducible operators acting on a complex separable infinite dimensional Hilbert space, and to expose and reflect the internal structure of operators by analyzing and studying irreducibility of operators. Much of the material presented here appears in book form for the first time. Background. The Main Tools. The Irreducibility and Strong Irreducibility of Operators. The Strongly Irreducible Operator in Some Classes of Operators. The Spectral Pictures of Strongly Irreducible Operators and the Approximate Jordan Decomposition Theorem. Compact Perturbations of Strongly Irreducible Operators. Strongly Irreducible Operators in Nest Algebras. Some Other Results about Strongly Irreducible Operators. References.